Yoga has many health benefits, including building muscle strength, regulating your adrenal glands and improving your posture amongst other things. 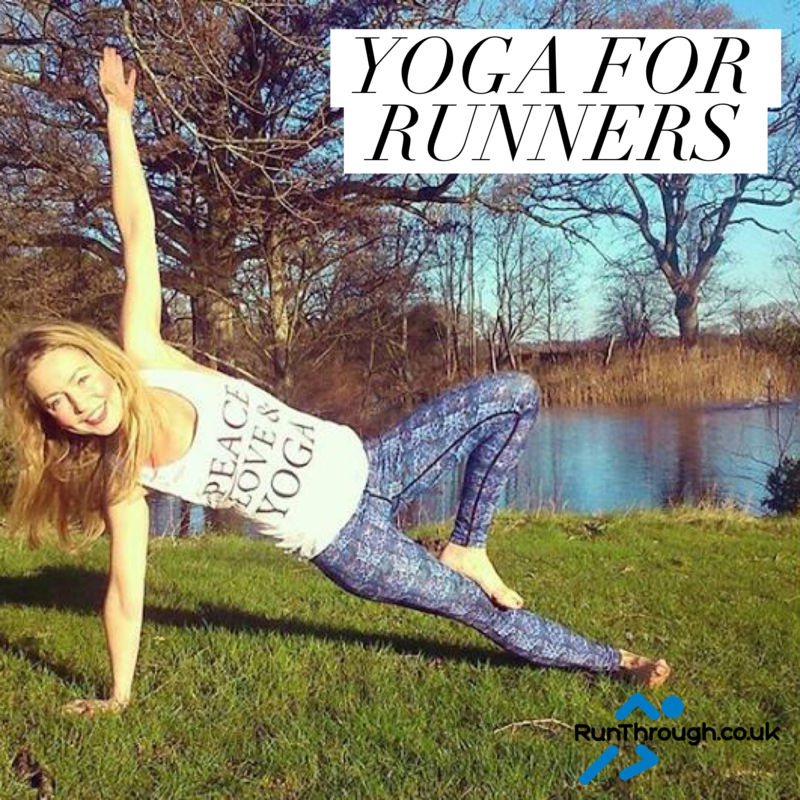 For the fitness fanatics of our modern day society, yoga can help us sustain great breath control and help runners and cyclists improve their flexibility whilst also helping injuries heal faster. Tight hamstrings are a very common problem for those that run often and this is also a common side affect for those of us who have hyper-mobile joints including myself. Regular yoga can help loosen the tightness in the hamstrings and also help us prevent injuries happening from tightness in the leg muscles and joints and nerves around the hamstrings. This is also one of the best poses for loosening the tightness that running creates in the legs. This pose is great if practised with a strap as per the picture on the left. Here in the picture you can see the difference regular use of the strap can have on stretching out the hamstrings and helping mend injuries and develop strength in the leg and knee area that may have been caused when running. To do this pose keep the spine on the mat and then draw the knee towards the chest before straightening it. Use with a strap for more support and repeat on the other leg. This pose is one of the best poses for getting a really deep stretch in the hips. It opens the deep muscles in the hips and hip flexors. Tightness in the hips is another common problem for those that run often. 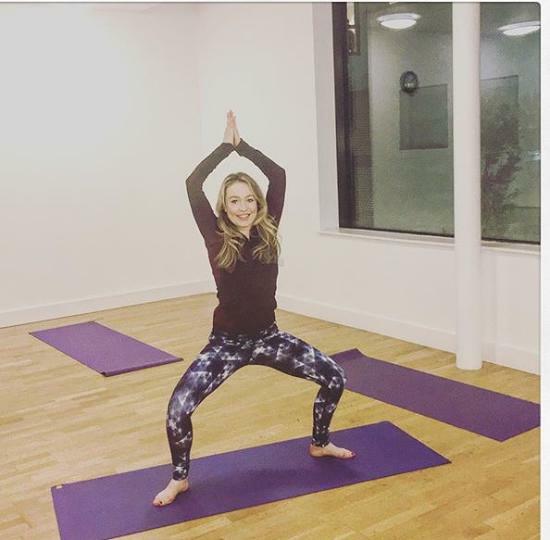 To get into this pose start in either a table top or downward facing dog position and then bring one leg forward and cross it over whilst lengthening the other leg. 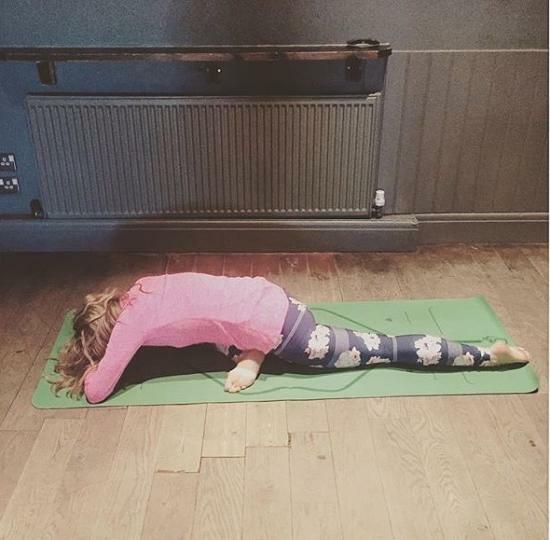 Create length in the spine and then fold forwards to deepen the stretch. You can use a block or pillow on beneath your head if that is more comfortable. Aim to stay here for 2-5 minutes to get a really deep stretch and repeat on the other side. This pose is excellent for strengthening legs and also opening the hips. Take a big step apart with the feet and turn them to an angle of about 45 degrees. Raise the arms above the head lengthening the spine and stay for around 6 breaths. This pose is great for building core strength which can help look after and support the spine whilst running, if posture is better as a result of this. It also strengthens the legs, hands and wrists. To begin start in a regular plank position and then move one hand to the centre of the mat. Ground that hand and turn your body to the side, reaching upwards with the other arm. The top leg can be straight and lifted to intensify the pose or it could be bent into a tree position or left on the ground for a softer option. This pose helps relieve back pain that can be caused by running. It improves circulation and strengthens the whole body. It also helps you breathe deeper and can give you stronger hamstrings. Start on all fours and then tucking under the toes bend your legs and lift your tailbone to the sky so you come into a v shape. Hold for around 6 breaths and repeat if necessary. 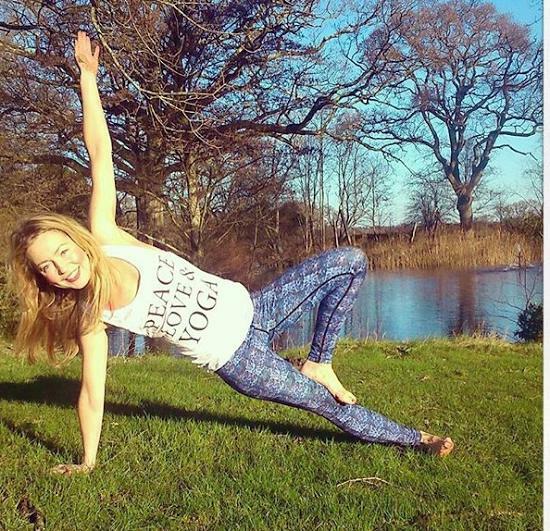 Try peddling out the feet whilst in the pose if the pressure on the arms is too strong. Yoga can help runners manage their breathing better through learning various Pranayama techniques. Yoga practice helps oxygenate the body and create energy. Deep inhales and exhales that are taught in yoga can increase lung capacity which can increase endurance and in turn enhance performance. This is particularly beneficial for long distance runners, especially those that run marathons. Overall the mental clarity that yoga helps to create along with the postural alignment tips that are taught during a yoga class can be highly helpful and counteract the excessive damage to the knees and hamstrings that can be a side affect of running. So go on, give it a try! 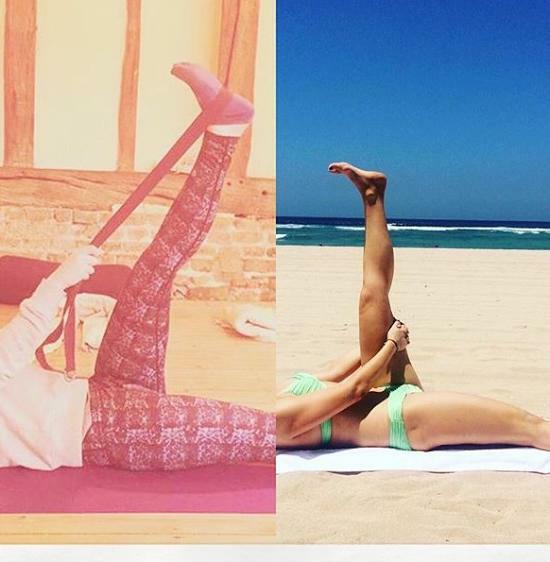 You may just pick up a habit of a lifetime and those hamstrings will thank you for it!